A new history of the Scientific Revolution. I'm no historian, but my keen amateur interest in the history of science tells me that this will be seen as something of a controversial claim. Modern historians of science can be pretty scathing of what they see as ‘Whiggish’ interpretations of history: pretty much every ‘new’ scientific discovery is built on what went before; to describe some (male) scientist or other as ‘the first to [do/discover X]’ or ‘the Father of [insert discipline]’, is to naively ignore the work of a multitude of predecessors; science does not advance through the ‘Eureka Moments’ of Great Men. Towards the extreme end of this argument, it is also sometimes claimed that there is no such thing as a scientific hero. At the ridiculous, postmodern extreme, which can safely be ignored, it is even sometimes argued that our knowledge of the universe hasn't so much improved over time as changed. 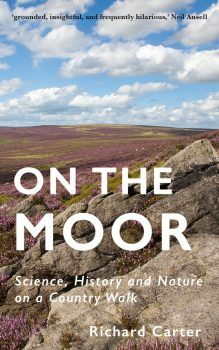 Wootton's argument in this long and entertaining book is that something really big happened in the scientific world during the seventeenth century. It was a step-change; a genuine revolution. The people who studied science before then weren't really doing ‘science’ in any modern sense of the word. the language we use when thinking about scientific questions is almost entirely a construction of the seventeenth century. This language reflected the revolution that science was undergoing, but it also made that revolution possible. Wootton spends the lion's share of this book exploring the seventeenth-century construction of modern scientific terminology and concepts. For example, he makes a compelling argument that Columbus's (re-)discovery of America in 1492 was central to the realisation that it was possible to discover new knowledge that was unknown to the ancients, rather than simply recovering knowledge held by them that had since been lost. In later chapters, Wootton goes on to examine the seventeenth-century development of other new words/concepts, such as: facts, experiments, laws, hypotheses, and theories. But The Invention of Science isn't all about language. There is some pretty interesting science history in there too. I was particularly fascinated by the early sections about the various competing models for Earth's place in the universe, and how they were eventually discredited. Anyone with a passing interest in the history of science will already be familiar with some of these models, but Wootton does an excellent job in describing them, making you appreciate that they weren't nearly as bonkers as they might appear with twenty-first-century hindsight. The Invention of Science strikes me as an important and entertaining book. I look forward to reading what Wootton's historian colleagues have to say about it.